Palo Alto-based Fanplayr, a startup focused on driving conversions on any website that offers an eCommerce component, today announced a new $2 million seed investment round, led by Denali Venture Partners. The two-year-old startup wants to help websites of all stripes offer up an Amazon-style recommendation, upsell and sales conversion mechanism, without a minimum of hassle and with more guidance than you’d get from a standard website data tracking product like Google Analytics, and will use the new funds to help it expand its sales and marketing efforts to get the word out to a wider audience. Fanplayr works by monitoring your website visitors and keeping track of their behavior, typically checking out at least a month’s worth of data before taking any action. Then, once it has a profile of a visitor and a decent database of information to compare that to, it can do things like identify shoppers who are similar in profile to actual purchasers on your site, but who just aren’t buying anything. It can then recommend actions that you can take to get those visitors to become customers, and even implement steps you assign when visitors match specific profiles you set up based on your converting traffic. 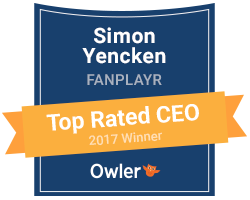 Fanplayr’s pricing structure is performance-based, so it only works if it delivers actual conversions. That’s a pricing strategy in keeping with the market the company is after, which includes smaller and medium-sized eCommerce companies who want to be able to match the kind of on-site shopping features offered up by an online retail heavyweight like Amazon, but don’t have the in-house engineering resources to do so. There’s an entire industry being built up around helping smaller guys go toe-to-toe with Amazon and its ilk, including AfterShip, the package tracking startup out of Hong Kong I wrote about earlier this week, and Fanplayr is hoping to be yet another key ingredient in that mix. Retargeting and personalized offers are a core component of what Fanplayr offers, and it seems well-positioned to take advantage of the growing concerns online merchants have not to be left behind as the big guys go after these same opportunities.